I received a cute little package from Apple Candy Dream @ Etsy this week. 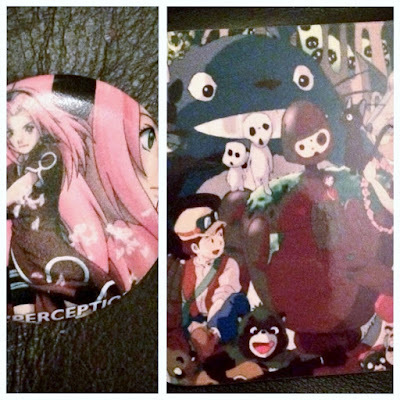 Apple Candy Dream sells gorgeous Studio Ghibli themed items such as cushions, mugs etc. I ordered a gorgeous coaster and an adorable badge too. The coaster is lovely and shiny so it's quite hard to take a good photo of it. Both items feel incredibly sturdy, I'm very pleased with the quality. My order was packaged up really cute as well which is always a plus. Check out Apple Candy Dream here.